We packed up the truck and hit the road south. We passed beautiful coastline and expansive deserts on our way to Lima. Peru is jammed with so much history that occasionally you just randomly stumble across it. This adobe fortress rises up out of the desert on the side of the PanAmerican highway. I later learned that is it is the Fortress of Paramonga, part of the Chimu empire. We visited the Chimu capital, ChanChan, in our last post. After a long day of driving we finally made it to Lima. Ugh. I hate driving in cities, especially Peruvian cities. Peruvian drivers are the WORST we have encountered on the trip thus far. 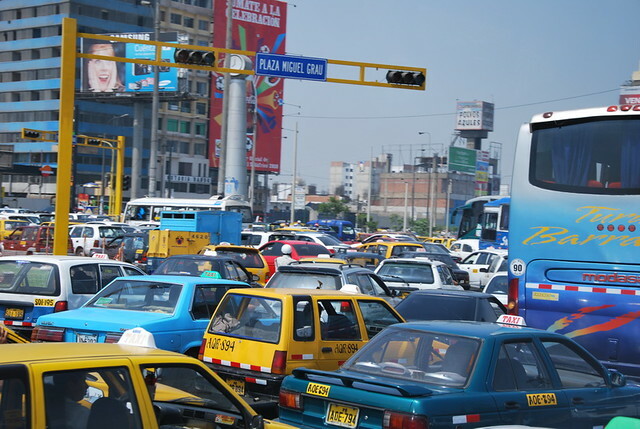 Driving in Lima is truly a no-holds-barred grudge match. I have seen more than 1 public bus swap paint with a taxi cab while jockeying for position. Luckily we drive a big rusted/dented truck with gnarly steel bumpers on either end, add in the fact that I also drive like a madman and we have our own dog in the fight. We posted up in Lima, caught some quick winks, and headed to the airport. The 10PM airport pickup went off without a hitch. We threw Vanessa in the back of the truck and hit the road. Lauren climbed back there as well and the ladies started chatting away about girly things. I wasn’t paying attention. I was focused. The Gauntlet has no time for chatting. Eventually the girls talked themselves to sleep. I was alone. The 4Runner slipping through the inky black night of the Peruvian desert like a grey wolf hunting his prey. I continually pressed my face against the windshield ogling the billions of stars that blanketed the sky above us. 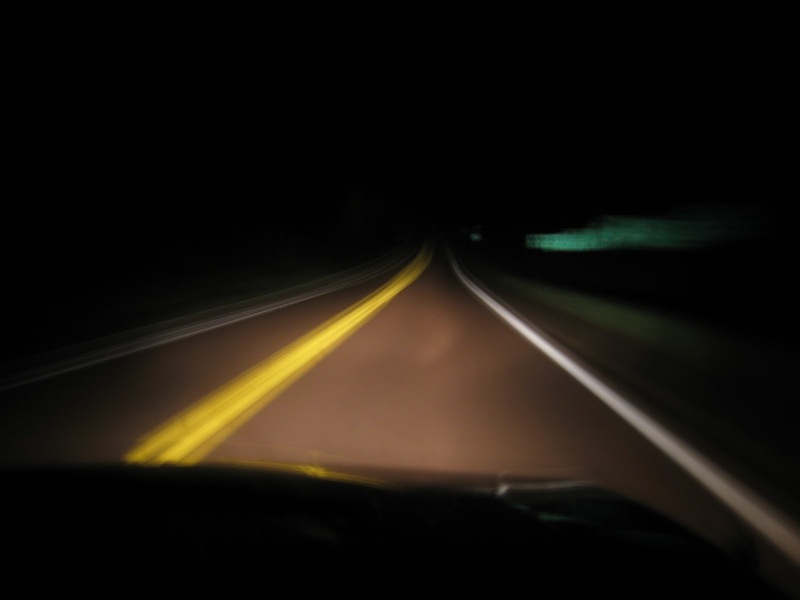 As the hours ticked by the lines on the road slowly blurred into a one long streak. Sometime around 2:00AM I felt my brain start shutting down. Oh no you don’t brain! I reached into the passenger seat and grabbed one of the questionable stimulants I picked up at a late-night Peruvian truckstop. I slammed the sickly sweet tincture into my gullet and felt an instant headrush and boost of energy. WOOOOOOWWEEE! TAKE THAT GAUNTLET! Throughout the night I was teetering somewhere on the edge of F1 Racecar driving perfection and crashing the truck into a giant fiery ball. It was a healthy balance. I snapped back to reality at a police checkpoint entering Nazca. I glanced at the clock. 4:45 AM. I glanced at the passenger seat. It was littered with Oreo cookie wrappers, various truckstop uppers, and a few empty beer cans. Luckily, the cop paid no mind to this crazy gringo driving in the middle of the night with 2 girls passed out in the back and waved me through. I pulled over in between a bunch of other 18-wheelers parked past the checkpoint, turned off the truck, and tilted the seat back to try to catch some sleep. Who was I kidding? I was so cracked out on truckstop go-juice there would be no sleep for me. I rolled down the window and stared at the stars for a while, watching the black sky slowly turn purple as dawn approached. It was very beautiful, I couldn’t recall the last time I had been up to see daybreak. My calming dawn moment was soon interrupted by a cacophony of big rigs roaring to life all around me. It seems we all had the same idea and had been waiting for enough sunlight to hit the wild mountain roads. Not wanting to end up stuck behind a slow-moving convoy, I cranked the truck and hit the road once more. We were soon winding through the low-lying front range of the Andes. As the sun came up, so did the girls. Good morning! This part of the long drive was amazing. We rose from the dusty desert at sea-level all the way up to ~15,000Ft driving along the high altiplano of the snow-peaked Andes. At one point we crossed through a Vicuna (A smaller member of the Llama family) wildlife zone. These little dudes were everywhere, jumping across the road, grazing the short grass of the Altiplano. We dipped into a low valley town, dropping out of the mountains down to around 4000FT. After the town it was a long switchbacked climb back up to 15,000 ft. We passed a few roadside cemeteries, perhaps foreshadowing of things to come? It was on this long climb up that the 4Runner showed her first signs of rebellion against this slogging I had been giving her over the past 2 days. As we climbed I kept a steady eye on the temp gauge. She slowly started rising, I pulled over, checked the oil, checked the water, everything looked fine. Back on the road, I kept climbing. The gauge slowly creeping up into the danger-zone once again. It was holding fairly steady just above 1/2, hotter than normal but nothing to crazy. Suddenly the motor bogged, I lost power, and the entire truck shut itself off. Fearing the worst (head gasket) out I pull off to the side of the road and pop the hood. Overflow tank is going full bore, steaming and gurgling. CRAP! Did I pop the HG!? I looked at the valley town far below us, nothing more than a dusty mountain pitstop. Not much chance of any decent mechanic down there. We were still 3 hours from Cusco. If the truck couldn’t get us out of here we were going to be screwed. Oh well, at least we had a nice view to break down by. Cruising along the high Andes we encountered giant free-roaming herds of LLamas, Alpacas, and even more Vicunas. These guys were everywhere, you really had to be careful sweeping a blind curve up here. Highest I have ever seen this altimeter roll-over! High altitude lagoons dotted the landscape. The ladies take turns sitting in the front seat. The bed is comfortable for sleeping, not the best for riding 20 hours on. IS THIS DRIVE GOING TO LAST FOREVER!!? We pulled into Cusco right around sun-down. We thought our journey was finally complete. Unfortunately it took us 2-hours of driving the maze-like streets of Cusco to finally find our campground. That sounds like an amazing drive! I love this story. It assures me that there are in fact crazier people out there than us. Also, I wish my husband would eat chicken feet for me. So nice of you James. lol you know they have much better uppers than various truckstop drinks so did you drive to Machu Picchu or take the train? Champions! What a great story and that sunrise photo is breathtaking! Glad you made it without taking any lives of cute fluffy animals on the blind curves. I love the photo treatments with blurry black edges. You two truly are champions in traveling. Stu and I are getting ready to settle down, but we still don’t know where. Artificial decision deadline NYE! We are making our way up the West Coast checking out places we might want to live, but we are ready to not constantly pack up every couple of days. You have the advantage of traveling in your home, vs in backpacks/suitcases. Are you going to drive the gauntlet again on the way back? Hey Mags, My .02 cent is find a furnished month-to-month rental in an area that you enjoy. Feel it out for a while and decide if you want to stay permanently or not. Discovering furnished month-to-month rentals has changed our lives and allowed us to stay agile, not being weighed down by many useless possessions! you guys are loco!! How the hell do you know the difference between all those furry animals? Aren’t they all just llamas? Pure awesome, you are the man. If you ever pass through San Diego I will give you beer, food, and shelter just to hear this story in person. BTW, Merry Christmas! Ill take you up on that when were back in California!